Python has grown to be a widely used high level programming language for development and research purposes in a myriad of fields. The language has multiple useful features including automatic and efficient memory management, supports multiple programming paradigms, hyper- threading and includes object- oriented, imperative, functional programming and procedural styles as well. Over the 26 years since its inception, various developers have contributed millions of lines of codes as packages and libraries to widen the scope of use of this language. Among many, NumPy stands out due to its unimaginable contribution towards the field of Data Science, eventually helping in shaping the world as we know it today. With close to 16k commits and 500+ contributors from around the world, NumPy has been one of the top most used libraries in Python. Data Science techniques usually require the work to be done on large arrays and matrices and heavy numerical computation has to be done to extract useful insights from it, which is made easy by the collection of high- level mathematical functions under the NumPy hood. It is the foundation library for most of the scientific computing in Python, and several other libraries are dependent on NumPy arrays as their basic inputs and outputs. It also provides routines that allow developers to perform advanced mathematical and statistical functions on multi dimensional arrays and matrices with very few lines of code. The core functionality of NumPy is its ‘ndarray’, or n- dimensional array data structure. These arrays are homogeneously typed and require all the elements of the array to be of the same type. NumPy, along with the advantages written above, comes with several other benefits which are extremely helpful if we are trying to work with a huge amount of complex data. NumPy basically targets the CPython reference implementation of Python, which in its native state run much slower. It focuses on the slowness of the mathematical algorithms written in it by providing the arrays and matrices, along with some advanced operators and functions to operate on the data in a much faster way. NumPy thus allows users to write fast programs as long as the operations are not done on scalars. Using NumPy gives similar powers to a normal Python user compared to the ones who use MATLAB for similar purposes. However, since MATLAB is a whole package in itself, it doesn’t require any other library or package to increase its functionality. NumPy can be used as a standalone library with Python for most of the data analysis use. But generally, it is complemented with others such as SciPy (for engineering and scientific formulae and applications), Matplotlib (a plotting package for visualizing the data), Pandas (which provide tools like Data Frame for Python), Theano (mainly used for Machine Learning applications) etc.. All these help make the Data Science objective be realized on Python extremely easily and in a presentable way. 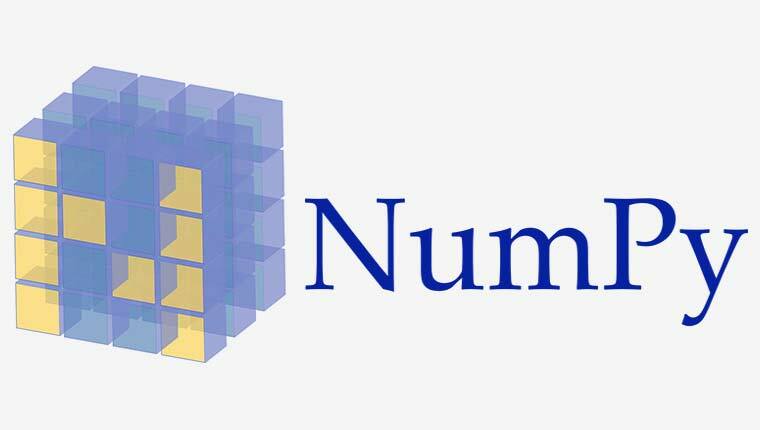 You can learn more about NumPy here.